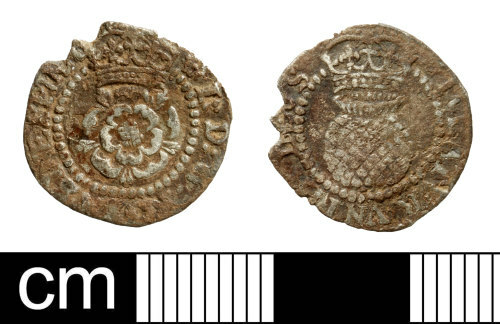 A silver halfgroat of James I (AD 1603-1625) dating to the period AD 1620-1621. Rose initial mark. Spink 2660; North (1998) 2127.